With immediate effect: please do not send old office furniture to the dump. There are better, more sustainable options available. Many people haven't got the memo that office furniture shouldn't be sent to the landfill. It is actually largely recyclable, and that, with minimal planning, it can be sold as second-hand furniture or donated as is. It can also be refurbished or eventually, recycled. Keeping furniture out of the landfill reduces solid waste, the extraction of raw materials, and the carbon emissions associated with manufacturing new pieces. In terms of emphasis on sustainability, this approach also sends a message to show that your company is serious about environment conservation and waste reduction. 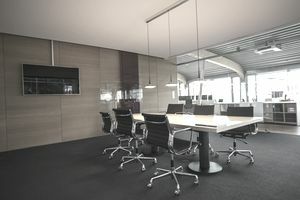 In this article, we have outlined some of the options for chairs, desks, partitions, workstations, storage solutions and other pieces that you no longer require. If you no longer need your office furniture but it is still in relatively good condition, you will find that many liquidators, second-hand furniture dealers or charities which would be happy to buy or receive it as a donation. These sorts of places specialize in the sale of used and refurbished furniture, so is a perfect way to get it off your hands. Charity options are also available, both at the community level as well as through organizations such as the Furniture Trust and IRN, which can handle large donations efficiently. Depending upon the time you have to accurately value your old furniture and choose the best option for selling it, you can increase your return. Some companies offer old furniture to employees. Refurbish If the fixtures cannot be resold as is, they can be restored to more pristine condition through attention to cleaning, repairing defects, replacing worn fabric or refinishing. These pieces are also popular among startups and struggling offices. Recycle If the furniture is not suitable for reuse at all (perhaps it’s damaged beyond repair) it will be disassembled, separated into various materials (such as metals, plastics, and fabrics) and sent to the appropriate recycling center. Stuffed furniture may be accepted at your local mattress recycler. Re-purpose If the furniture is not suitable for reuse, you might instead like to re-purpose it. We have seen various components turned into a sculpture, seating used in children’s cubby houses, and new legs added to a desktop for a dining table. Do I need to prepare the furniture? If you have opted for the donating or recycling option, you might need to prepare the furniture for pickup. Stuffed furniture may need to be bagged in plastic, or desk drawers taped shut. Be sure to review with the service provider prior to removal. It is worth remembering that because you have updated to new, state-of-the-art chairs doesn’t mean that someone else can’t still benefit from your old, standard ones. Even if the furniture has been severely damaged, its parts can be recycled and turned into something new. Consider the options before sending old stuff to the landfill.